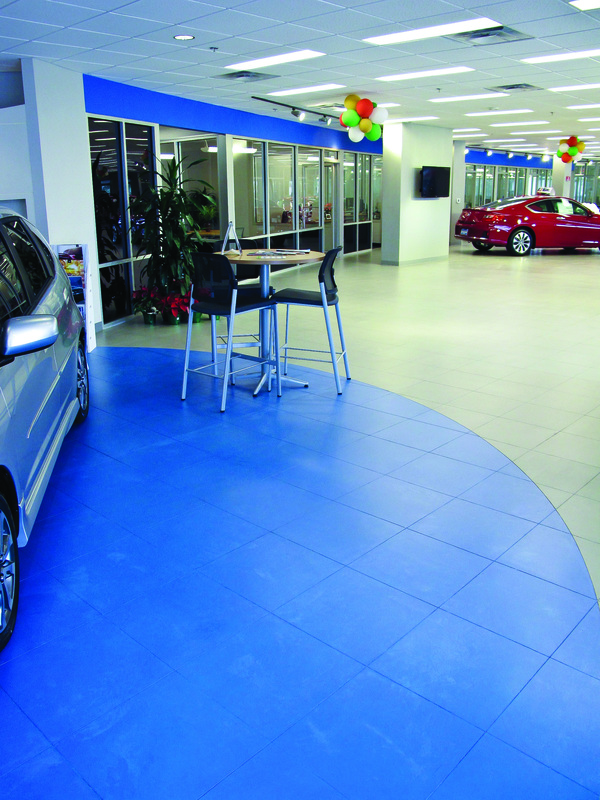 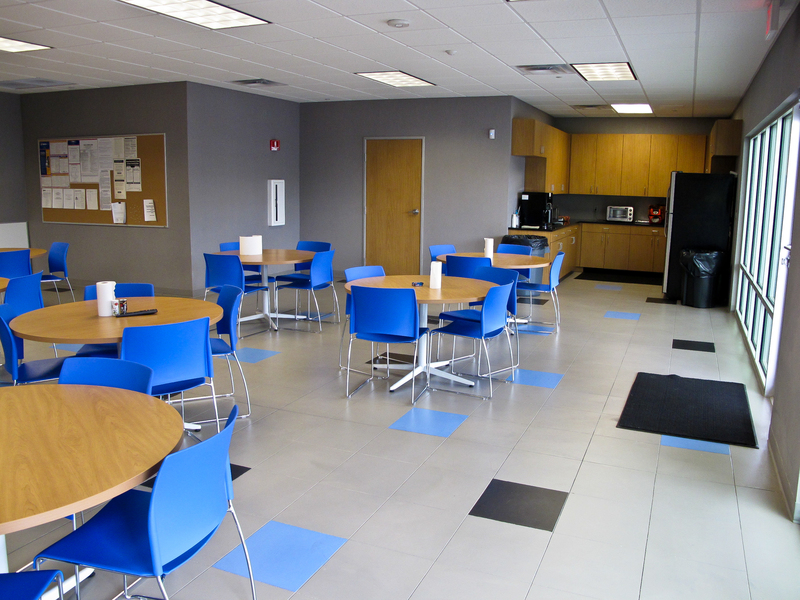 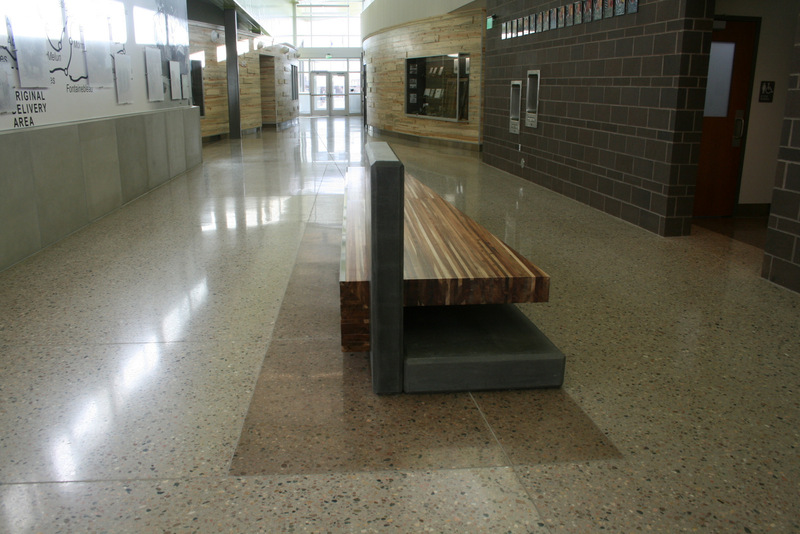 The Army National Guard of Colorado, located in Windsor, CO, was looking for a flooring material to showcase their emblem and compliment the new design of space. 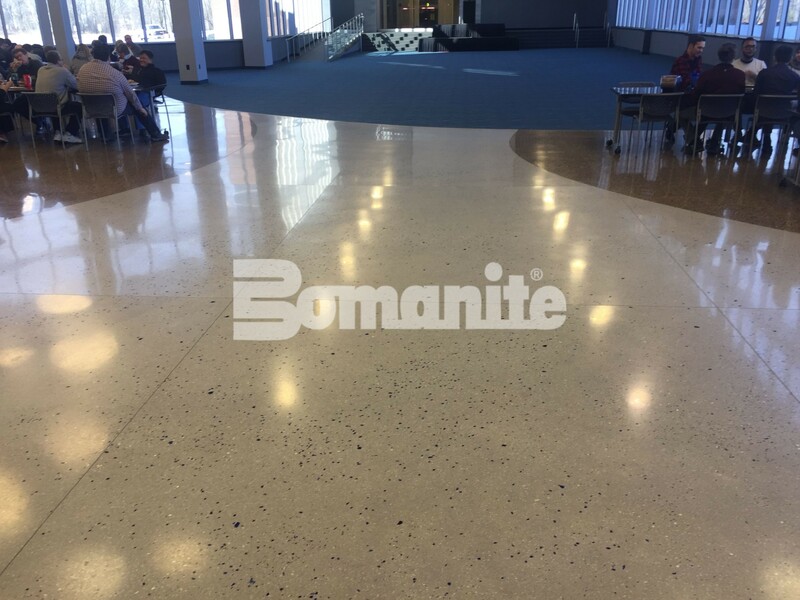 Inspired by the emblem design at Fort Lupton and Buckley Air Force Base, they called on Bomanite Licensee, Colorado Hardscapes to install an intricate emblem of the Army National Guard logo, as well as place and polish the concrete surrounding the emblem in the front entry, assembly halls and hallways. 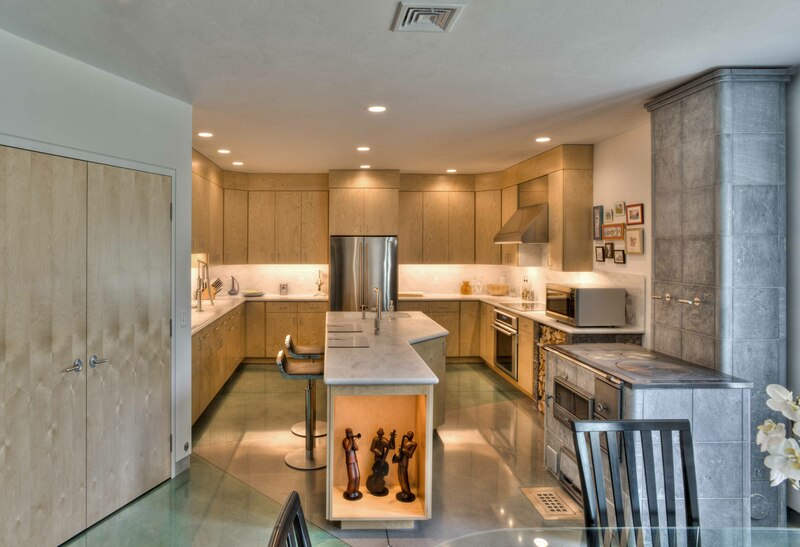 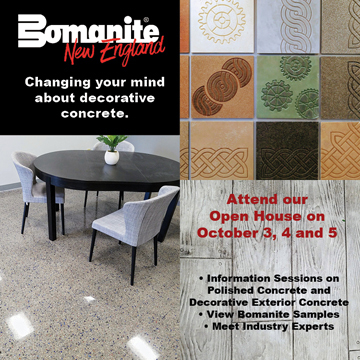 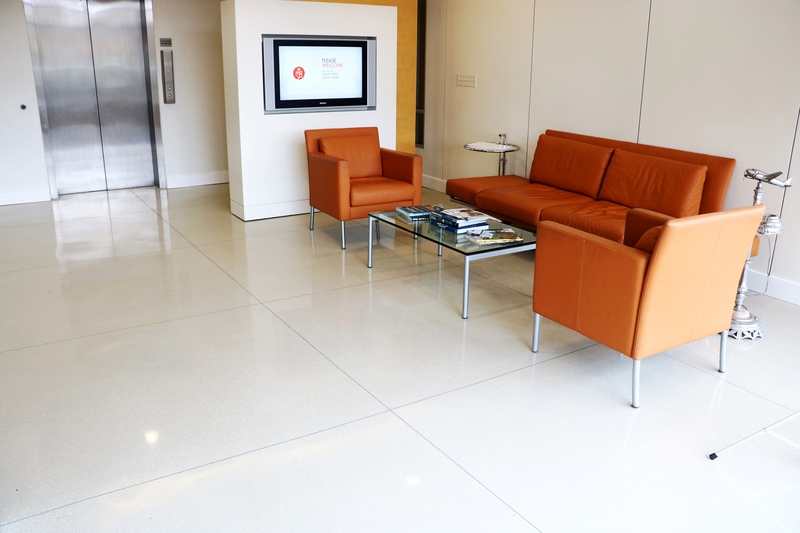 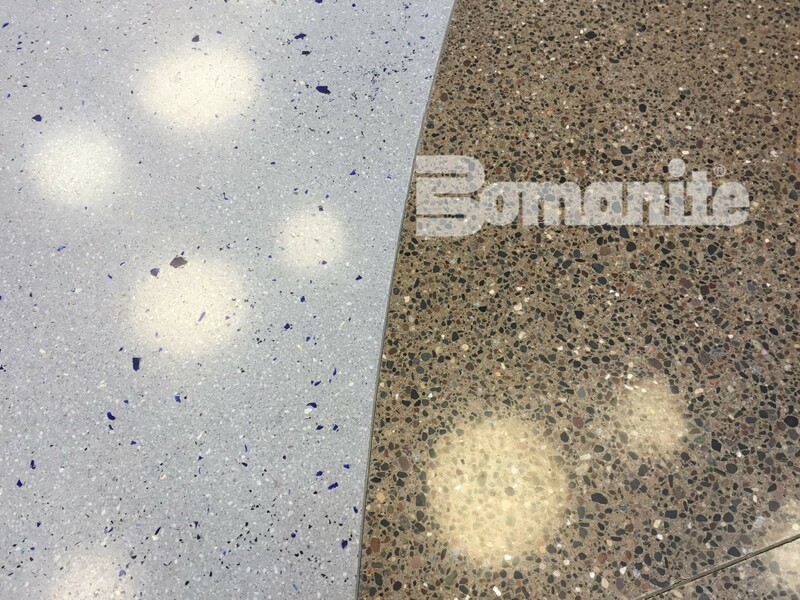 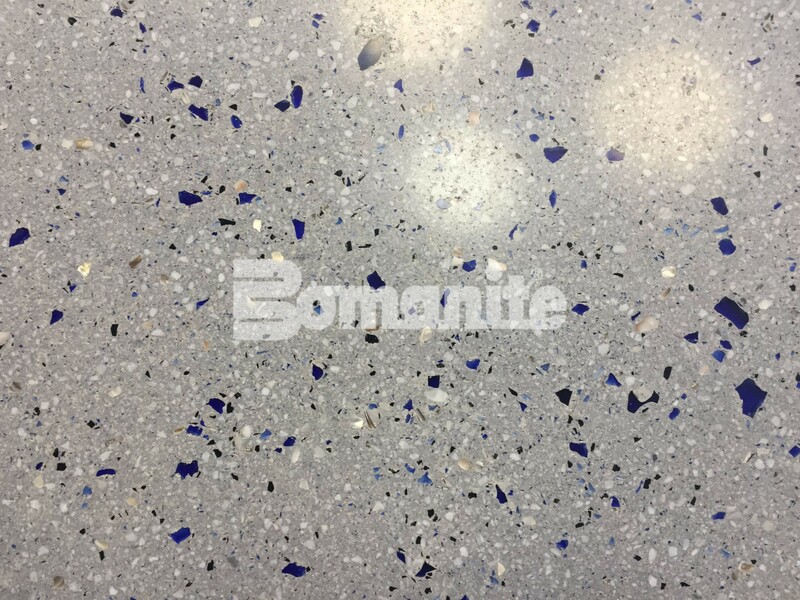 Colorado Hardscapes worked closely with Architect, RB+B to design a custom emblem in the concrete, as well as the color and design of the Bomanite polished concrete. 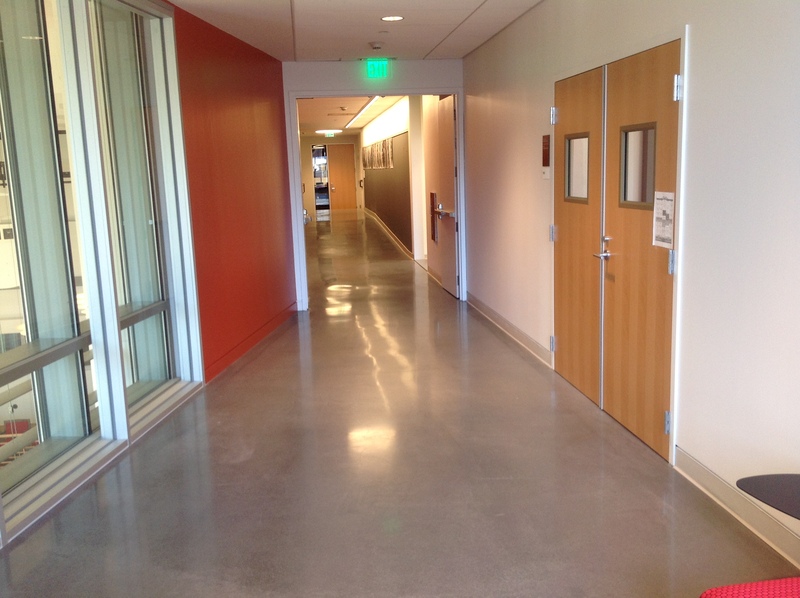 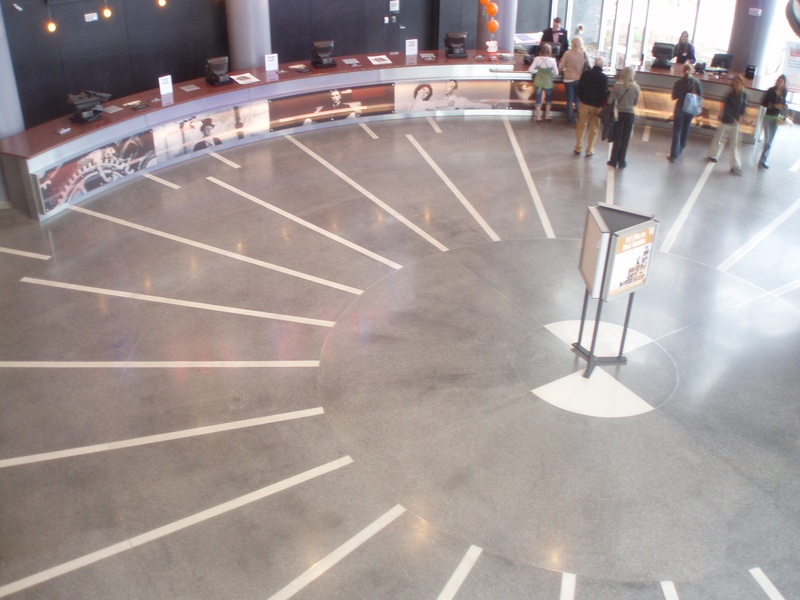 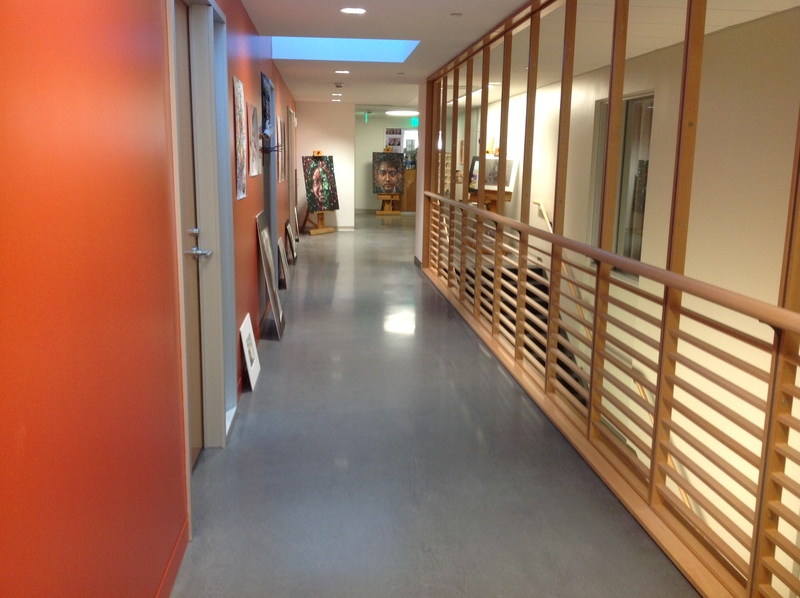 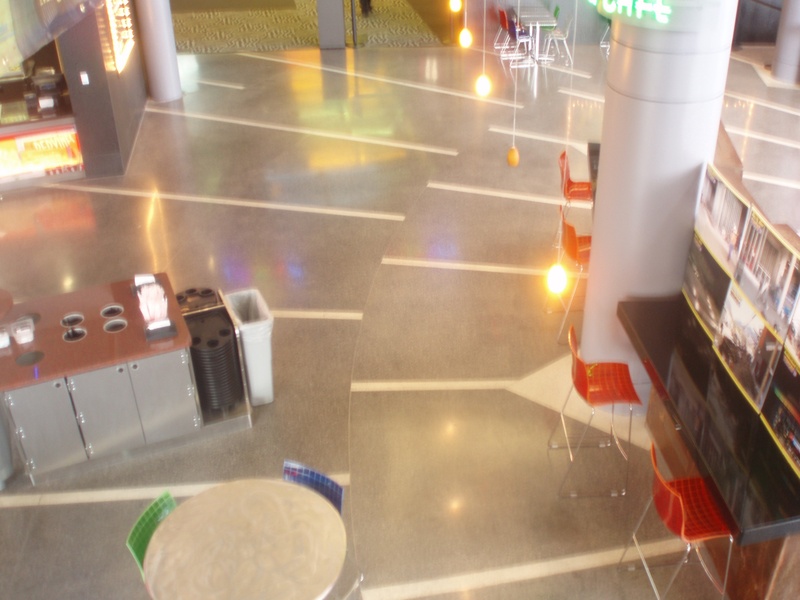 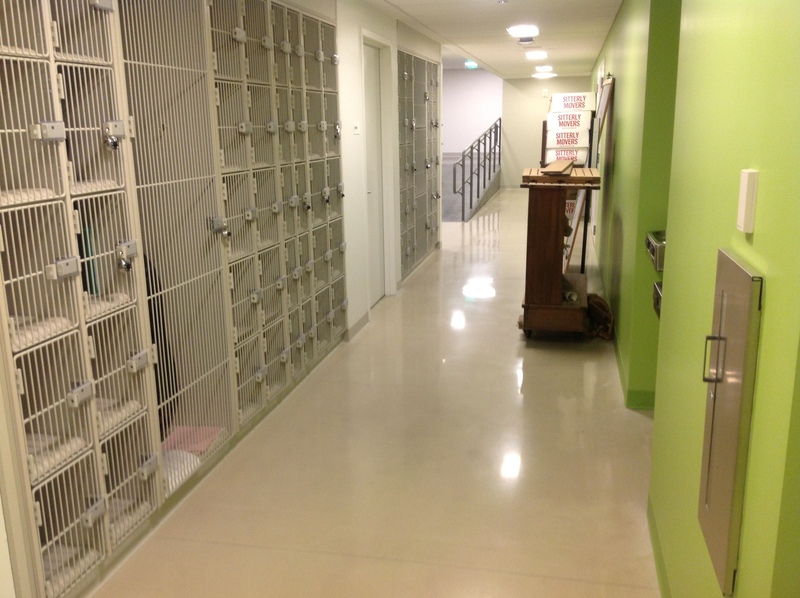 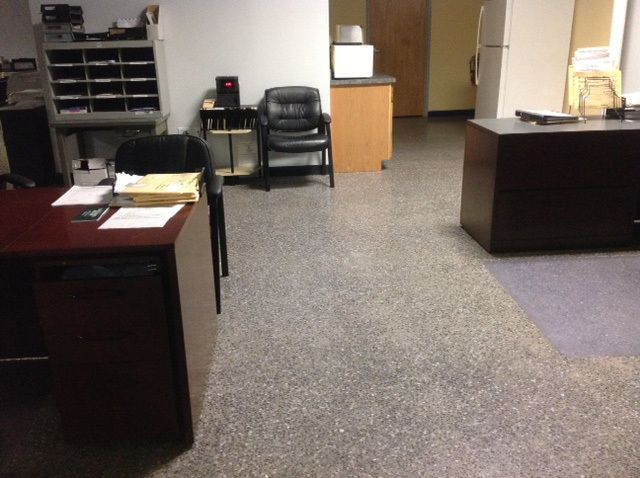 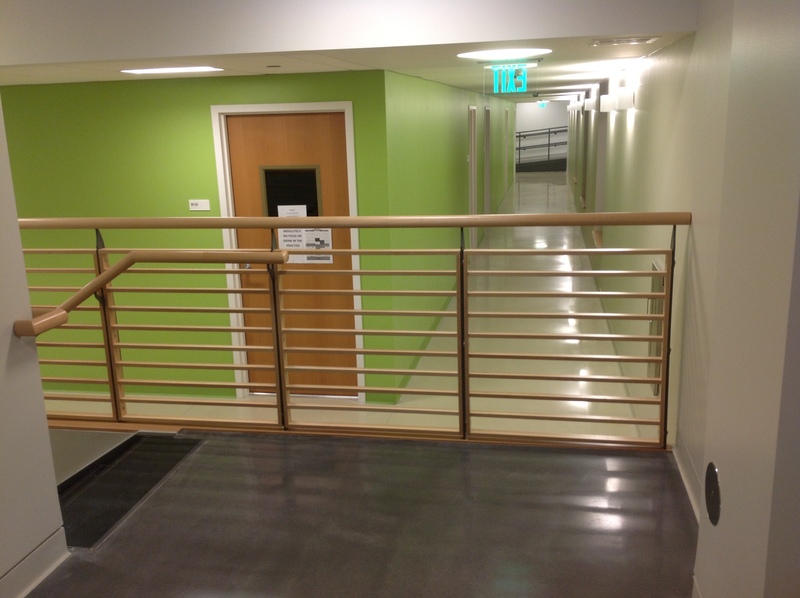 The hallways, assembly hall and front entry used Bomanite polished concrete with Bomanite VitraFinish. 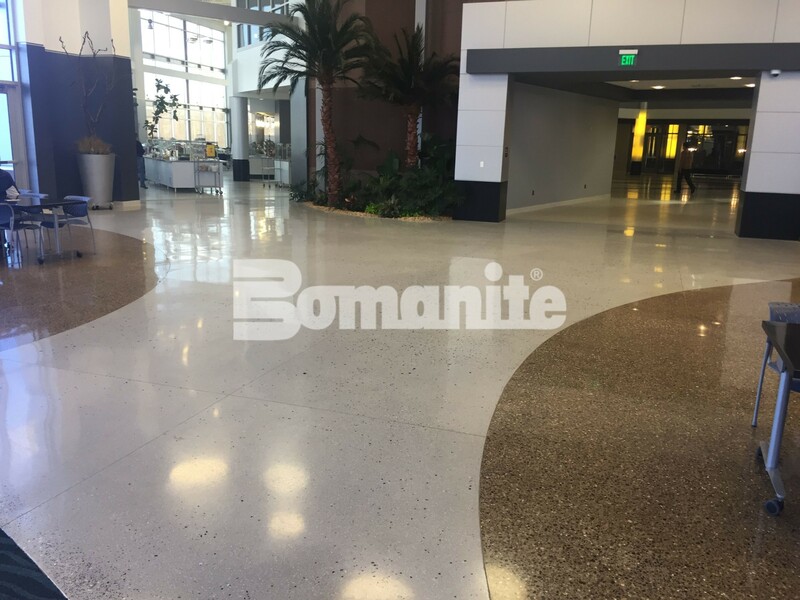 In the assembly hall, where the concrete was placed by a different subcontractor but polished by Bomanite Licensee Colorado Hardscapes, a reactive stain was added around the perimeter. 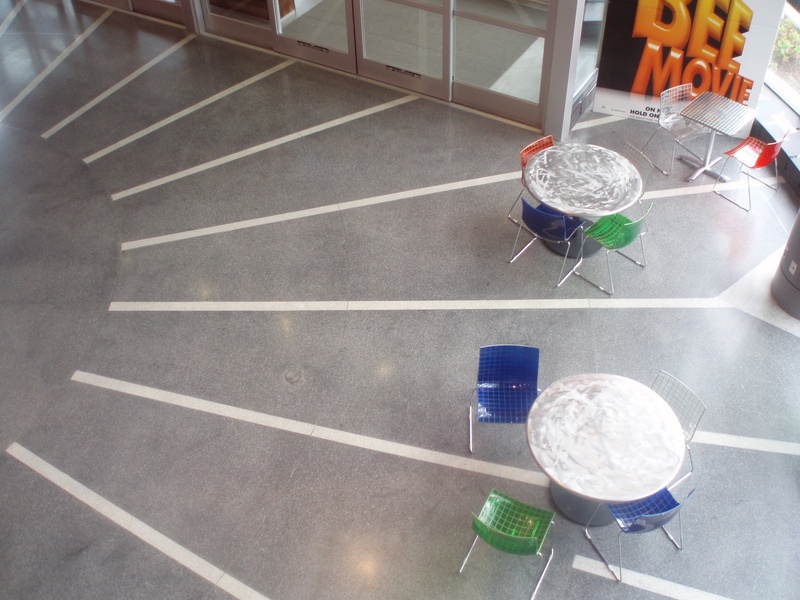 After the project was completed, it was interesting to note the difference in the front entry where Colorado Hardscapes placed and polished the concrete versus the assembly hall where the existing floor was just polished. 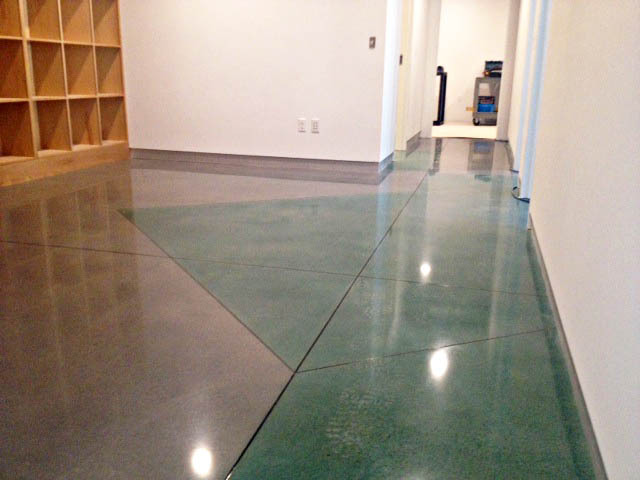 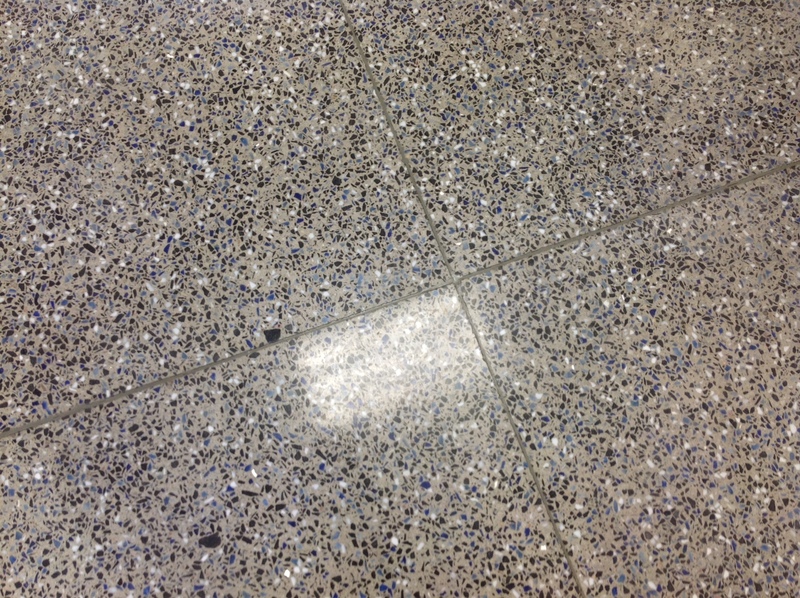 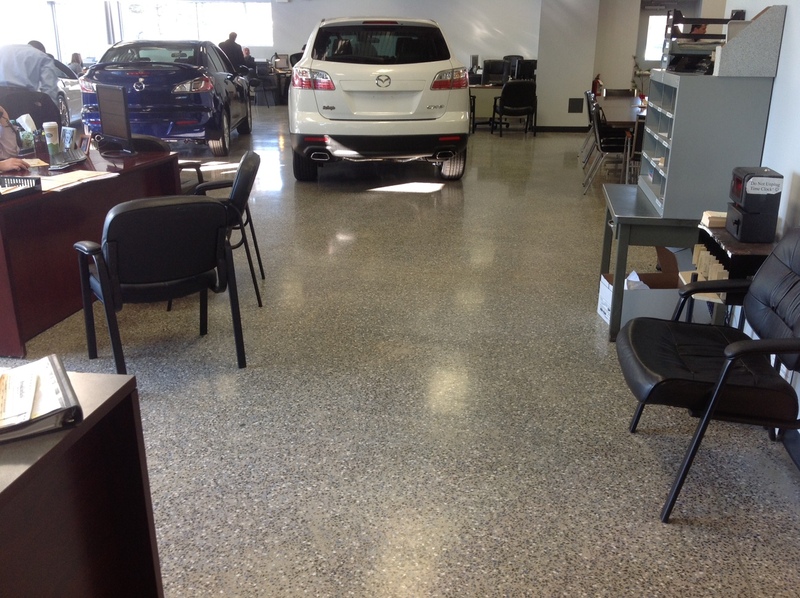 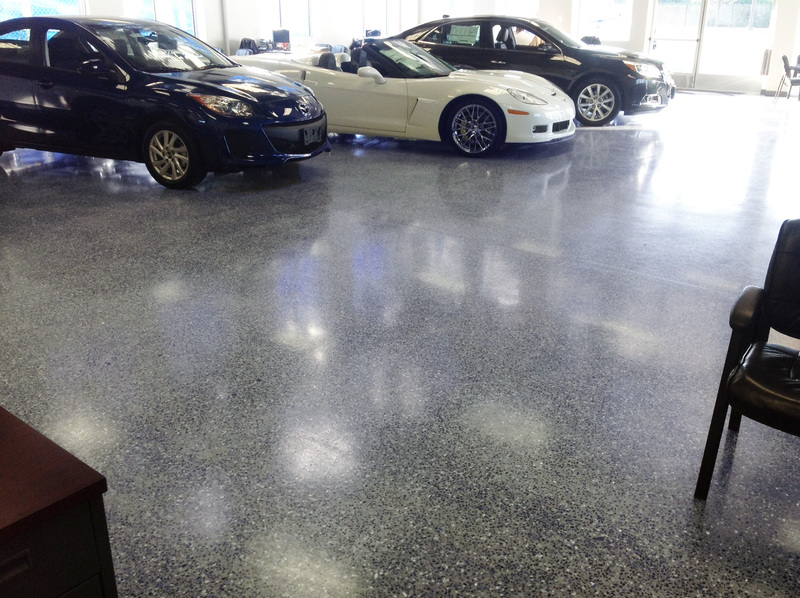 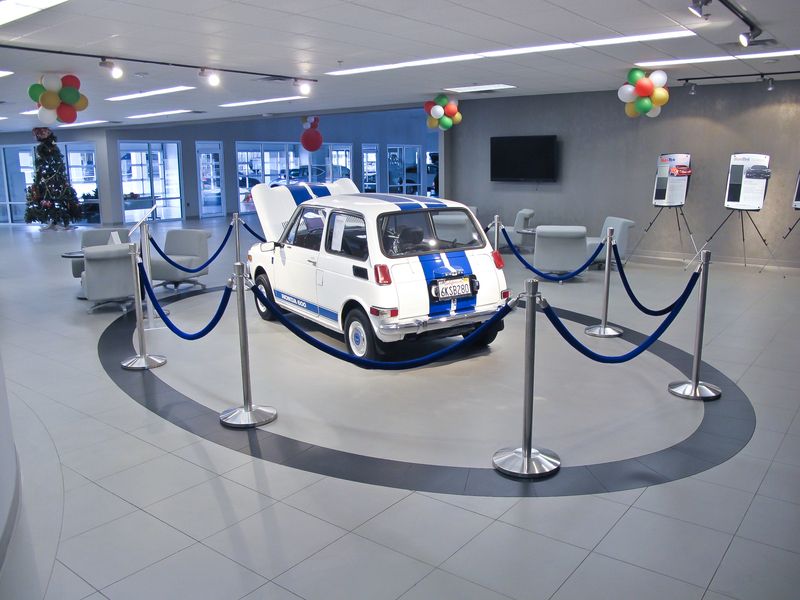 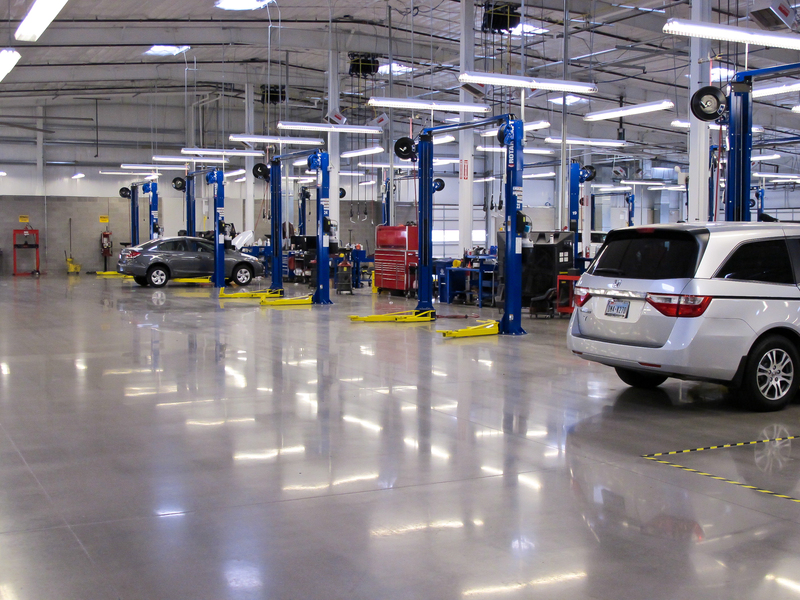 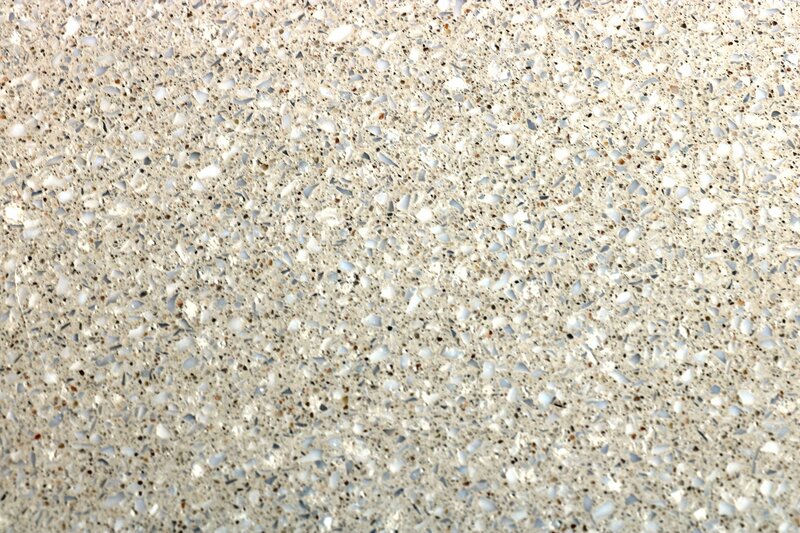 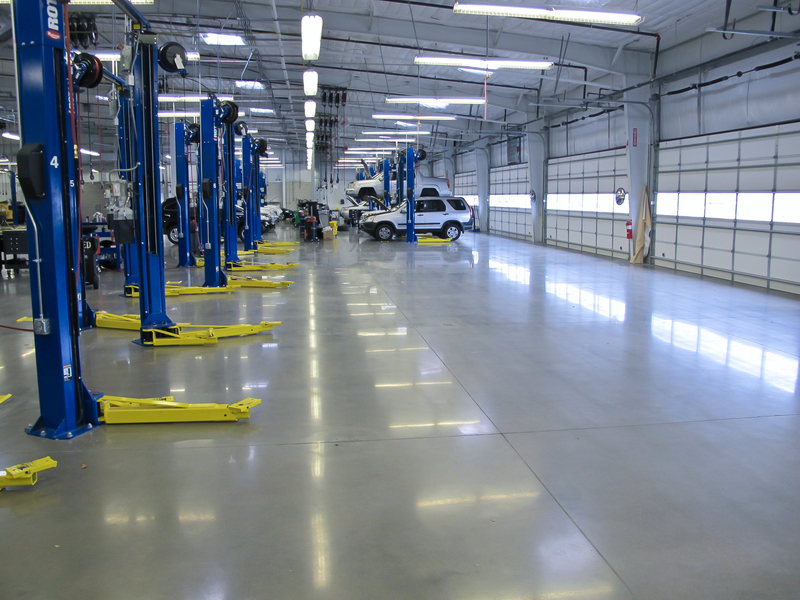 Placing and polishing the concrete is essential for a uniform look. 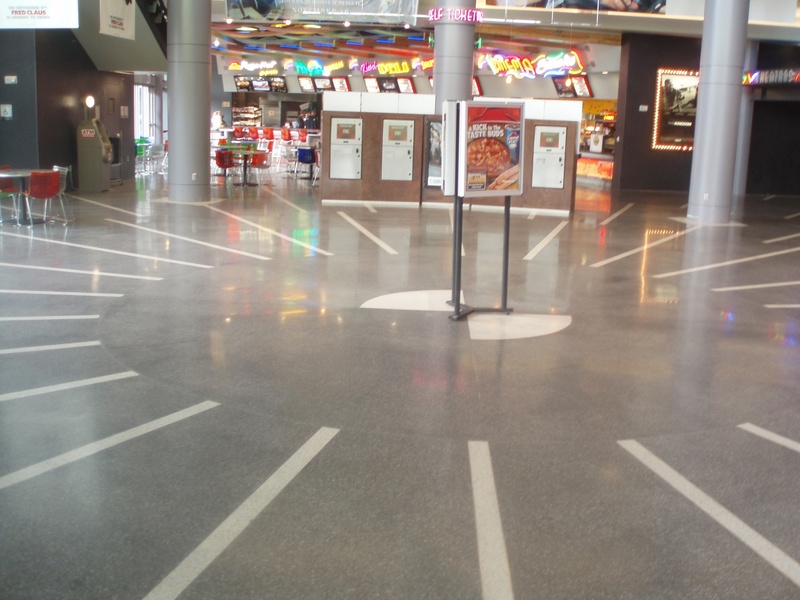 The emblem in the concrete was improved upon from previous projects because the emblem was ground ¼” deep, placed with logo, filled with a high-solid epoxy, and polished to the same level of the concrete surrounding it.